After a long day of shopping in Westfield I wondered around the food court eyeing up all the wonderful delights on offer, it came down between pie and mash or a shawarma chicken wrap. The final decision was square pie and mash. I chose the small pie and mash deal which was roughly under £5.00, the additional mushy peas was 40p extra. The onion gravy poured on top of my pie smelt terrific enough to make me even more hungry then I was at the time. It was full of flavour and wasn’t too rich. The mushy peas were quite sweet and tasted really good, the pie crust was difficult to cut it was like concrete the mince and onion was well seasoned and was the perfect texture. The mash was very good, creamy and smooth cooked to perfection and still had some skin. 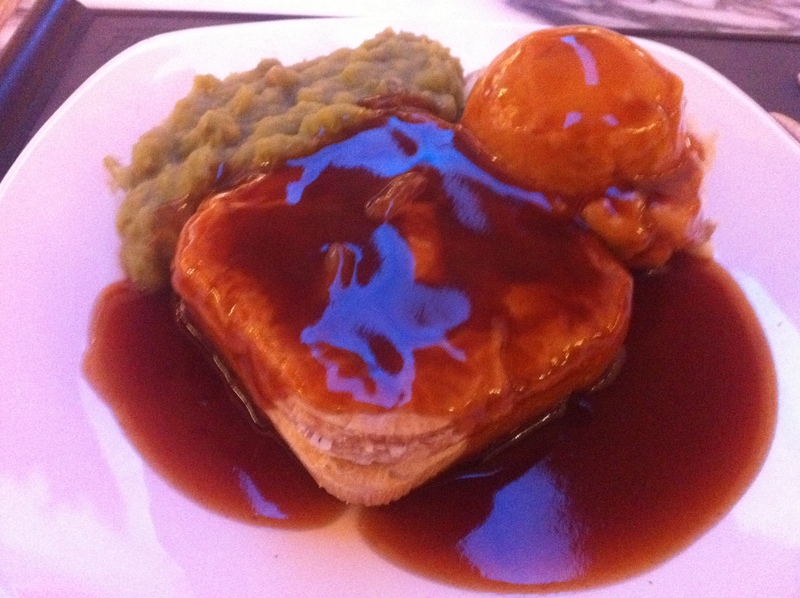 Overall I loved my pie and mash meal, the crust was quite disappointing but it really did fill my stomach up.